There are a lot of ways to make your truck or car look more aggressive, and one of those ways is to do an upgrade on your vehicle's suspension. 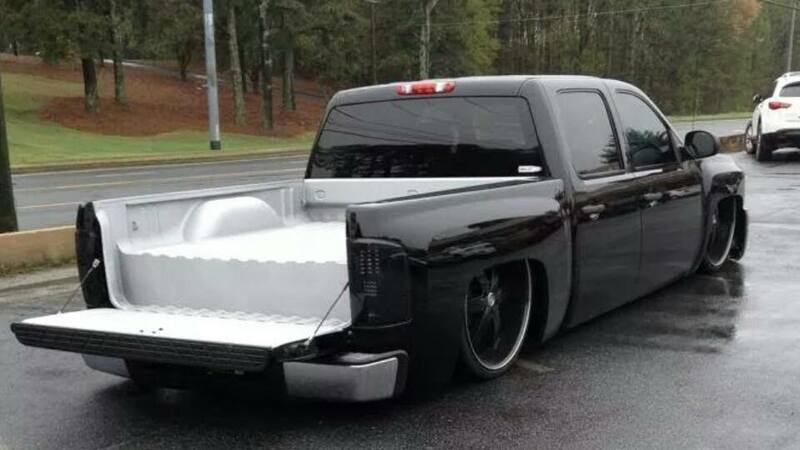 Want to take that stock truck to the next level? We install lift kits so our customers can ride the way a big awesome truck was meant to be rode. We special order our kits to make sure that the kit that we get you is the perfect fit for your truck. Sometimes your ride is uneven and you want to correct that crookedness with a leveling kit. Ultimate Body can take care of that for you, with our ride specialists equipped to install leveling kits in even the oldest of vehicles. Maybe you don't like the way your car rides, maybe it's a bit too soft, or even too hard. Take your car down to Ultimate Body and we can adjust your suspension to give it the right amount of "give" that ensures your vehicle is fun to drive. Like floating on a cloud. Ultimate Body can drop it low as well, bringing the beautiful body of your mobile powerhouse closer to the road. We custom order all of our lowering kits to make sure that you get a fit that's perfectly specialized for your vehicle.